Rosenthal is an intriguing writer, committed to learning, and capturing, her own truth. 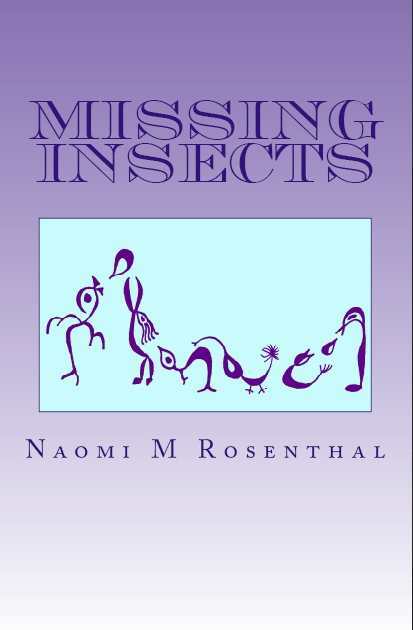 A collection of narrative vignettes, Missing Insects is Naomi Rosenthal’s memoir, spanning her early childhood to her own adulthood and eventual motherhood. Though intimate and uniquely personal in content, Rosenthal’s themes of family and the historic legacies haunting them reflect a universal truth, supported by her thoughtful and measured observations. Rosenthal writes from a place of understanding and appreciation of the histories that strained her relationship with her parents, which in part inspired her to strike out on her own at a young age and determine for herself what the world might offer. Her journey is chronologically organized into five segments of varying lengths, each one further broken out into individually titled essays or chapters. Some segments feel rushed, as though Rosenthal is eager to move on to weightier material or arrive at a point in which she can pose her questions and consider possible answers. A final round of revision to remove excess pages in defense of those more precisely tied to her theme will enhance her already strong prose. Artistically inclined, Rosenthal illustrates her pieces with images reminiscent of cave paintings—simple, yet captivating. The author encounters an abundant number of insects while living and traveling in Africa, an abundance she recognizes as absent from her American and European homes. This dichotomy of existence versus absence proves an effective metaphor throughout her memoir as she describes what was and was not present in her family, how existing dynamics were defined by those that were absent. The presence of insects is an environmental reality, just as the historic reality of the Holocaust defined the lives of her parents and that definition, in turn, shaped her environment growing up under their often-disapproving eyes. Rosenthal is an intriguing writer, committed to learning, and capturing, her own truth. Missing Insects introduces an engaging voice that calls attention to global, historical, and socioeconomic realities.